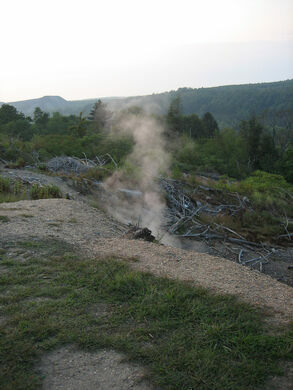 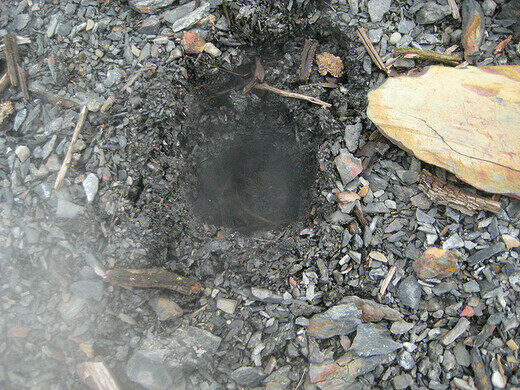 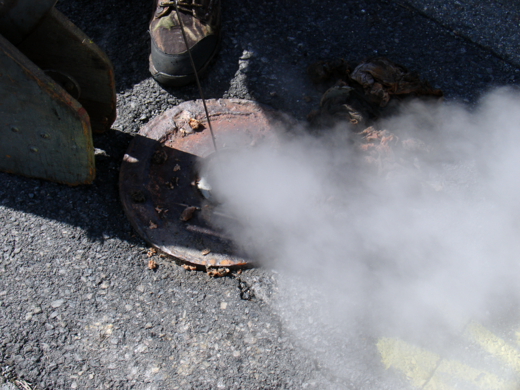 Though its exact cause has been disputed, the fire underneath Centralia, Pennsylvania ignited sometime in 1962 and has been burning ever since. 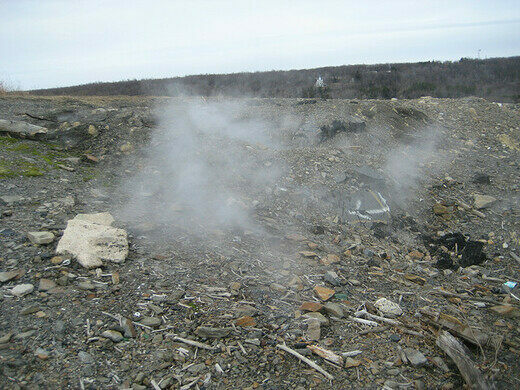 The town sits on top of a rich vein of coal, and the fire has defied every attempt to extinguish it. 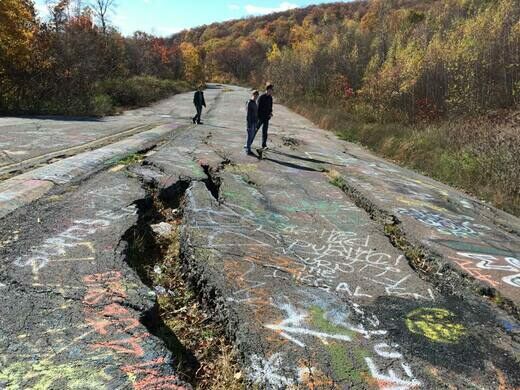 National awareness of Centralia’s unending environmental catastrophe came in 1981 when a 12-year-old boy fell into a 150-foot hole that suddenly appeared in his back yard. 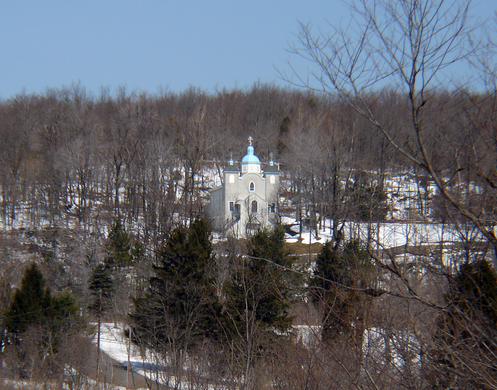 Most residents were relocated in 1984, and in 1992 the entire town was condemned. 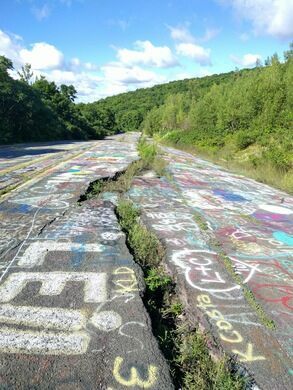 Most buildings were torn down, creating the Centralia that can still be seen today: a network of streets running through empty fields and, increasingly, new growth forest. 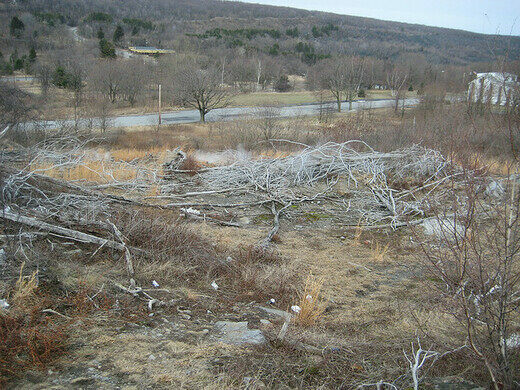 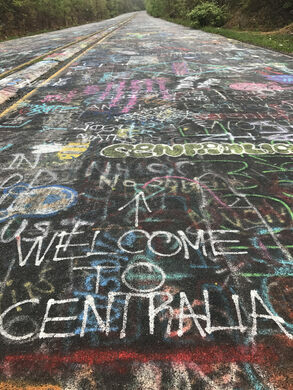 As of 2007, Centralia had nine residents. 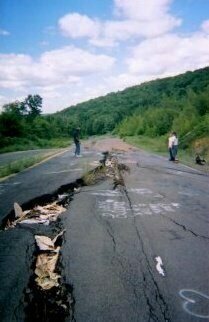 Driving through the streets, it’s easy to identify them; light streaming through the windows of their neighbor-less homes, cars parked in their driveways, the Centralia’s last residents seemed to continue life as normal despite being surrounded on all sides by smoking rubble. 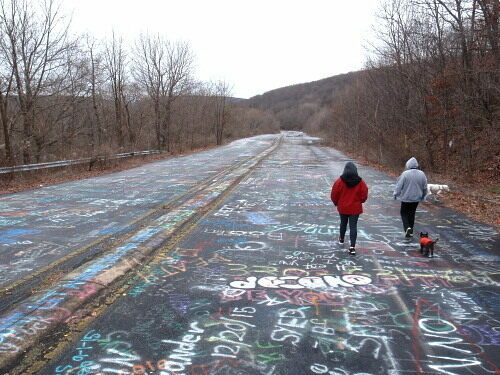 Besides the cemeteries and the cracked road, there is nothing here. 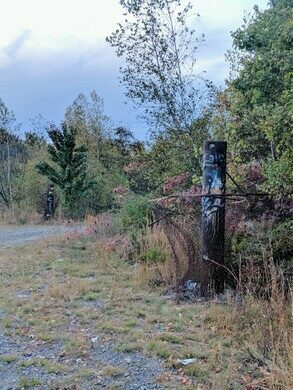 Also, be warned that police have been running off visitors recently. 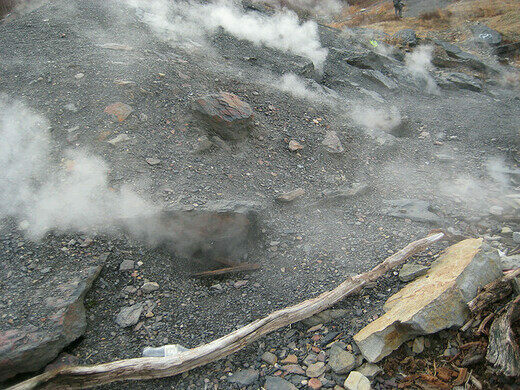 to Lisbon, Rome, China, and more. 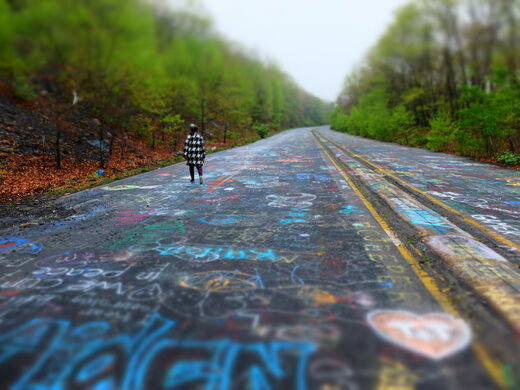 A little-known ghost town in Pennsylvania. 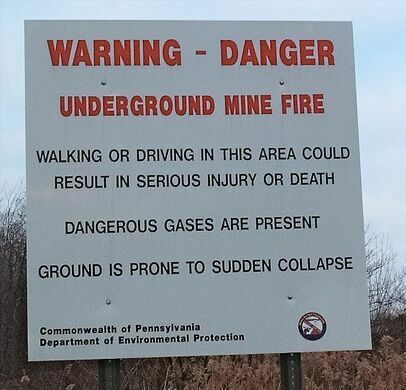 This eerily well-preserved coal-mining town was saved from destruction by a Sean Connery movie.